Want to curb your sugar cravings? Try this Nut-rageous smoothie, inspired by Mark Hyman. It’s packed with protein to keep you full all morning long, and makes enough to have a second smoothie later in the day or the following morning. 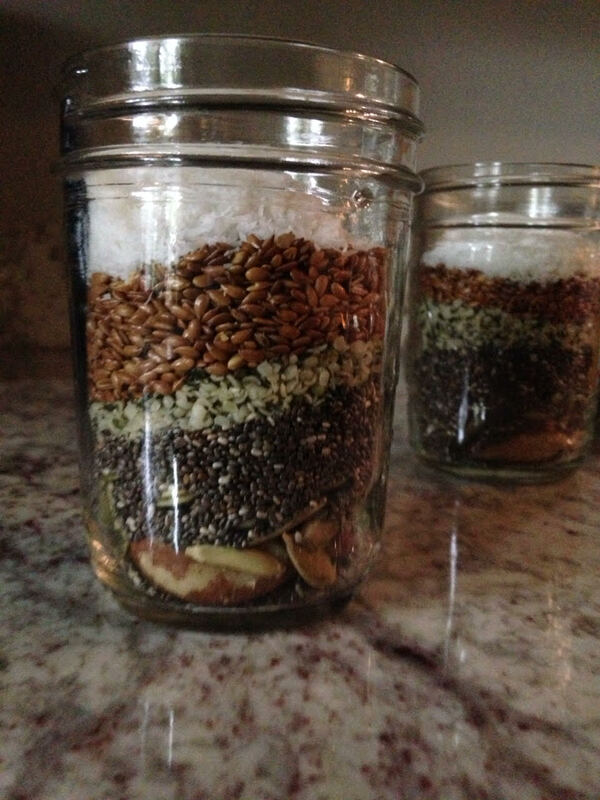 I make several jars of the nuts/seed ingredients that I can quickly dump in to my blender. Oh, if only they’d serve this at my favorite beach. Previous Previous post: HOW to MAKE THIS NEW YEAR BETTER THAN YOUR LAST!